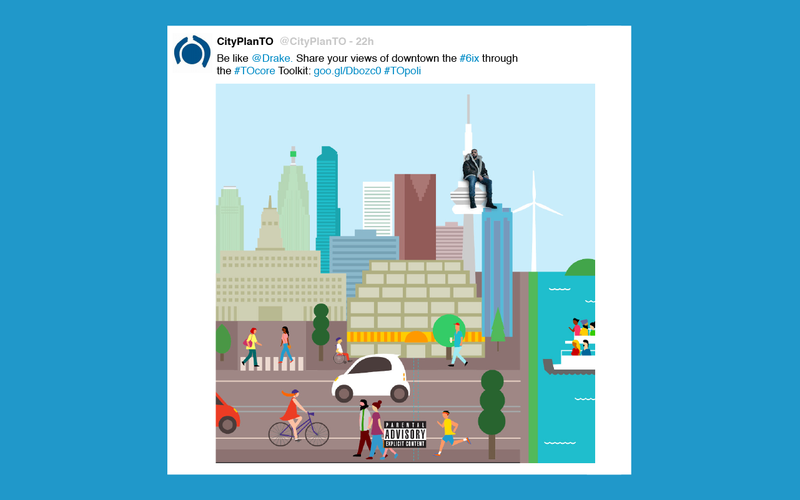 Downtown Toronto is experiencing unprecedented growth and the core’s population is expected to double over the next 25 years. 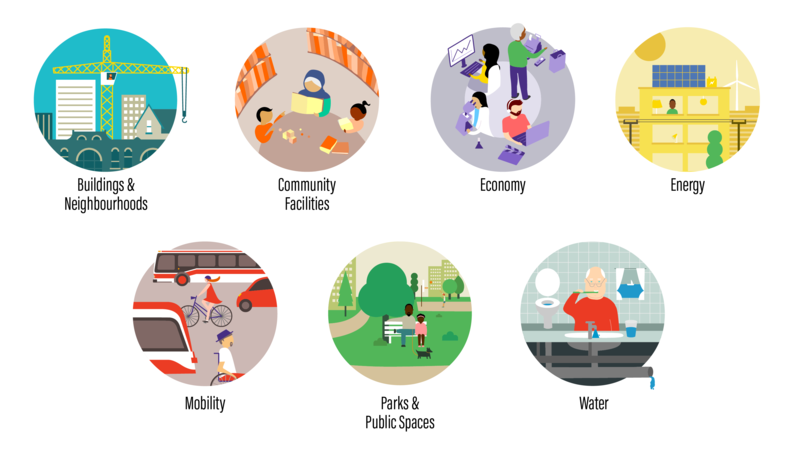 This growth is placing demand on things like housing, jobs, transportation, parks, schools, and water infrastructure. 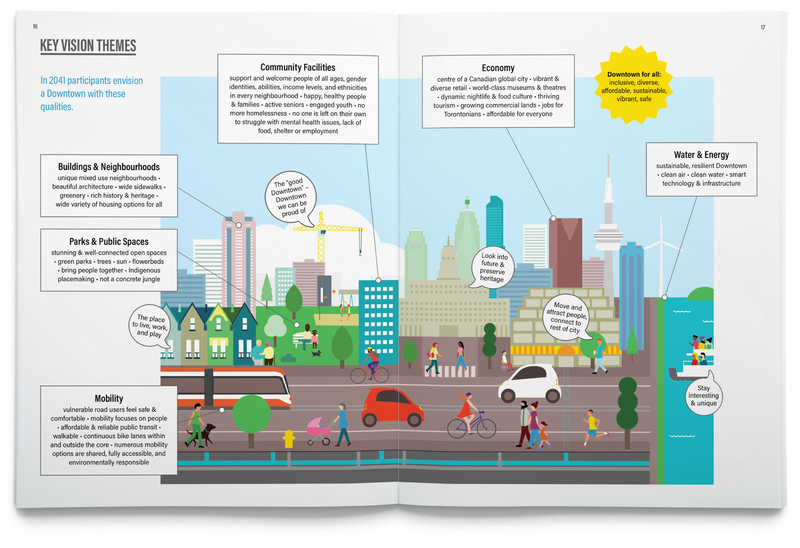 To shape Downtown’s future and make it an inclusive place where everyone can thrive, the City of Toronto set out to develop a set of policy frameworks through a city planning study called TOcore. 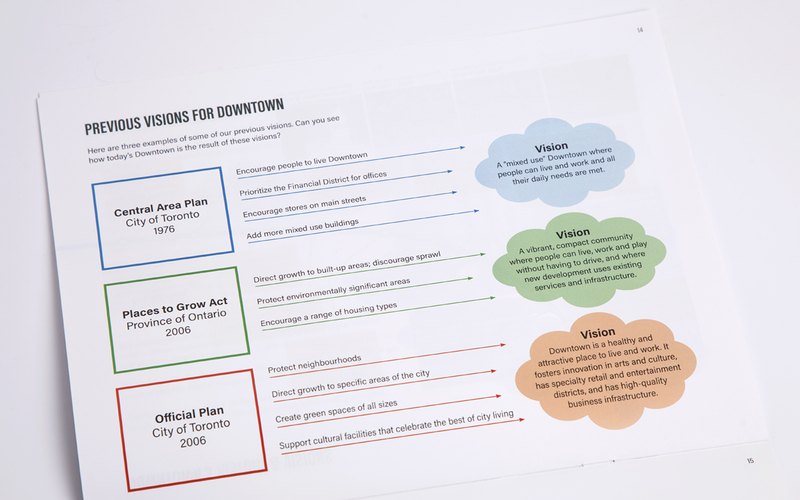 Working with the City and a team of urban planners and public consultation firms led by Swerhun Facilitation, we asked the public their advice for Downtown. 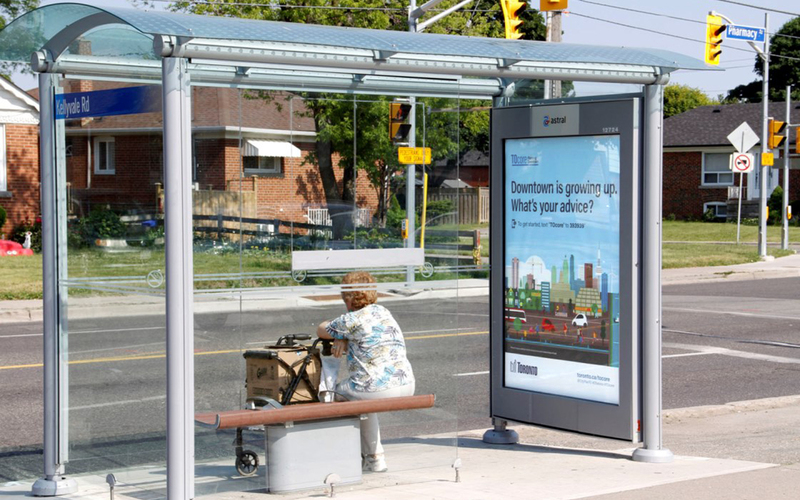 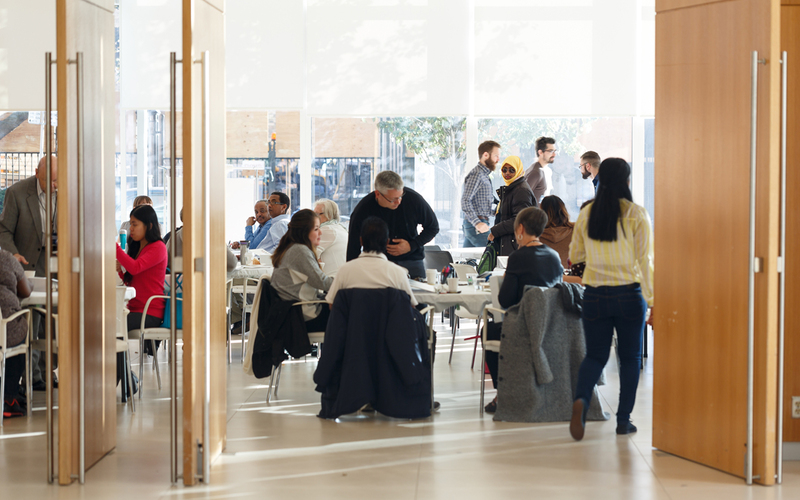 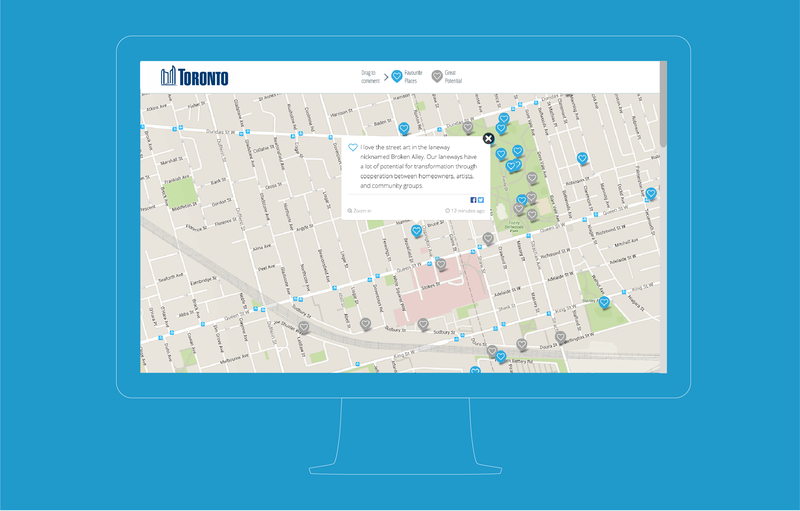 Our goal was to use accessible messaging to reach thousands of Torontonians who don’t typically participate in city planning decisions, in order to help build a Downtown that is inclusive and resilient. 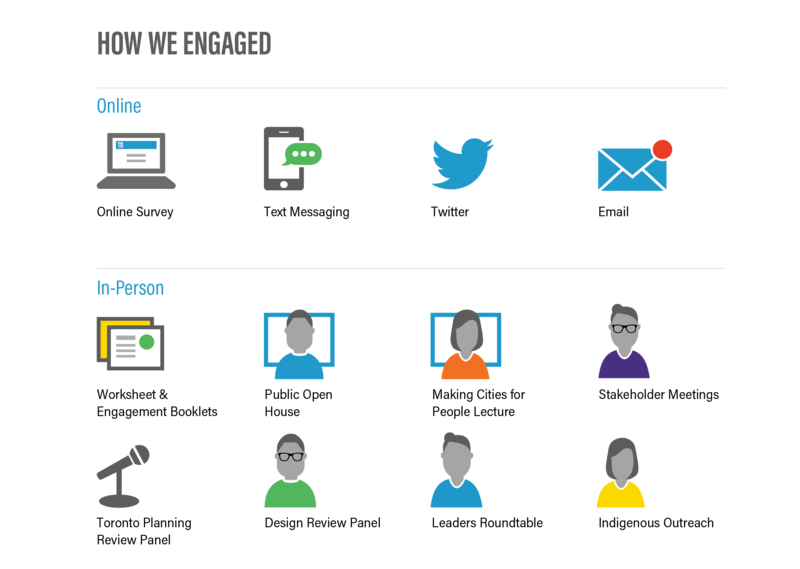 We strategically timed communications with opportunities for public participation over the course of a year-long campaign. 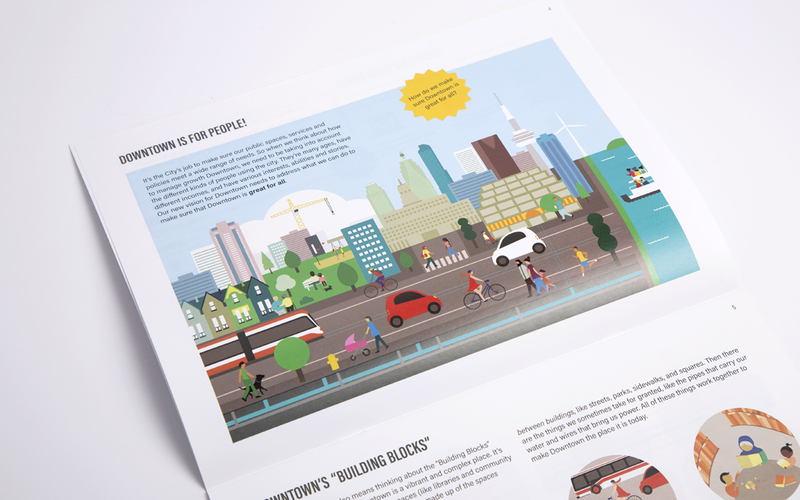 We designed several branded touchpoints across print and digital media, including an accessible discussion guide, illustrations, infographics, transit ads, a website, online surveys, social media, videos, and reports summarizing public feedback. 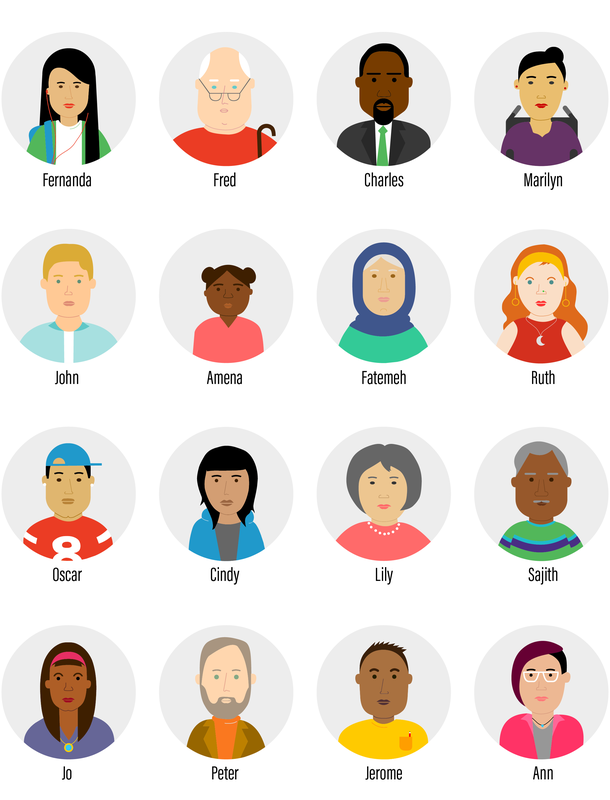 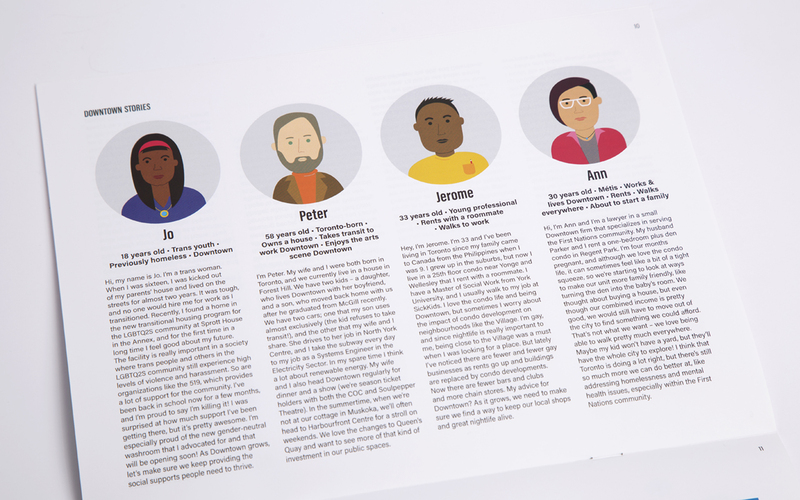 We also created a set of “avatars” – culturally sensitive representations of 16 Torontonians based on the lived experiences of a multicultural city. 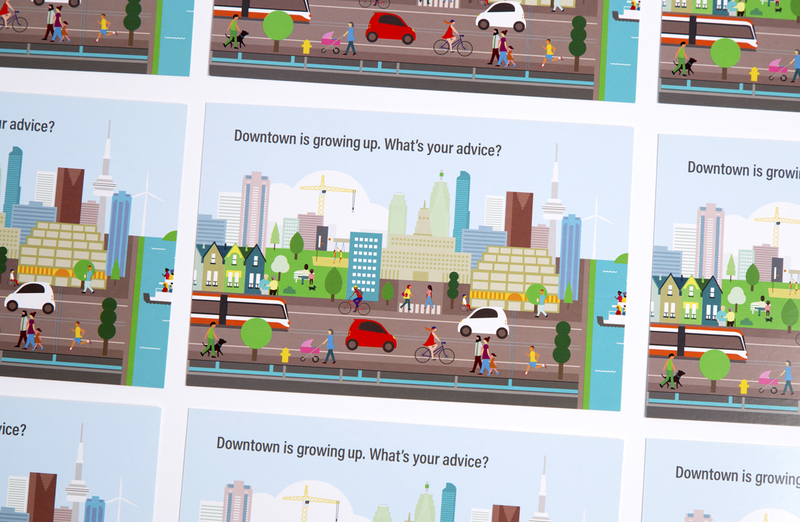 The avatars were used to help residents reflect on their own relationship to Downtown and share that feedback with the City. 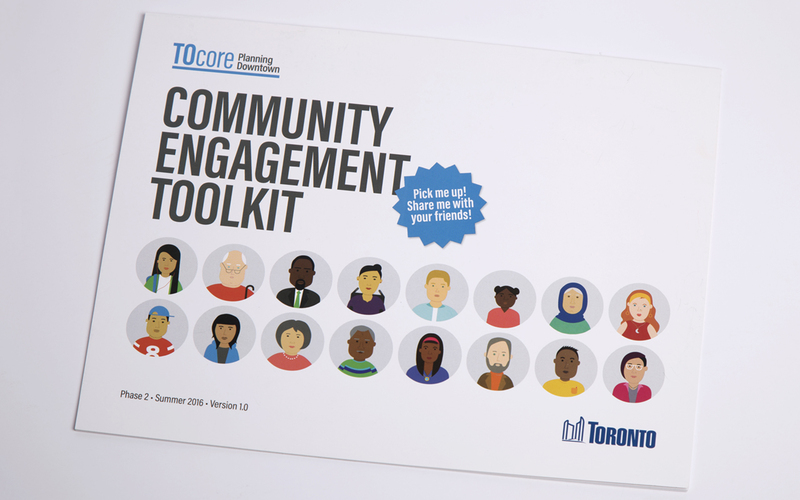 Our efforts led to active participation from tens of thousands of Toronto residents. 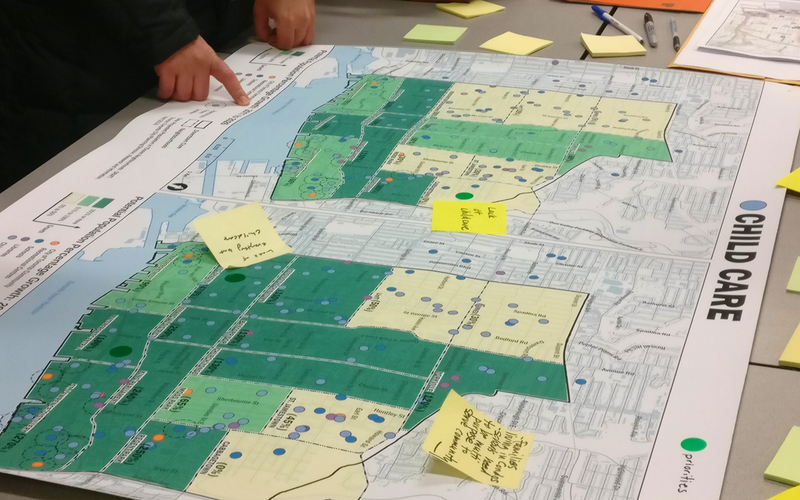 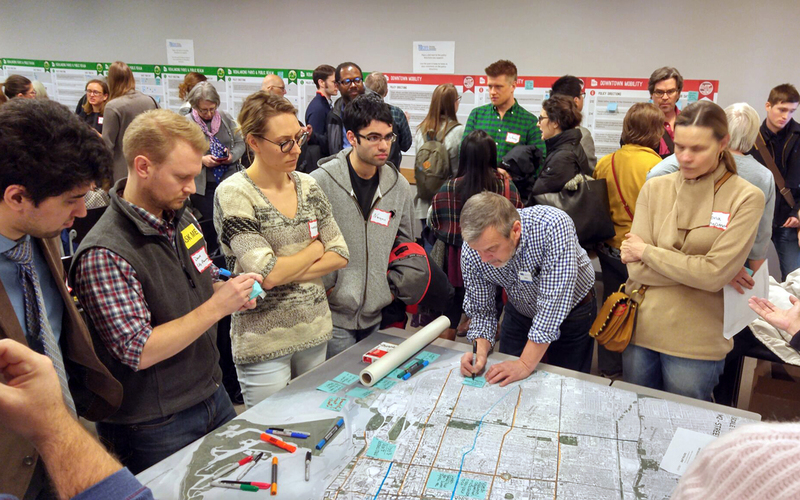 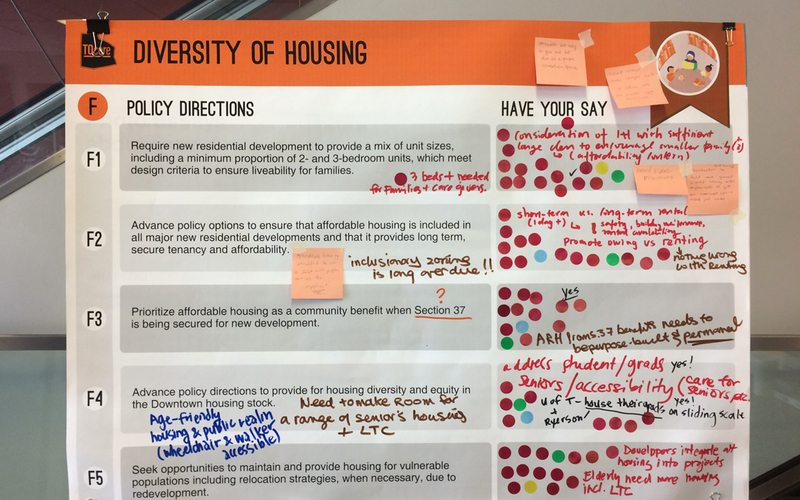 All of the public’s input – from concerns about housing unaffordability to new ideas for public spaces – informed a new Downtown Plan, a set of policies and strategies that reflects the diverse needs of our city.